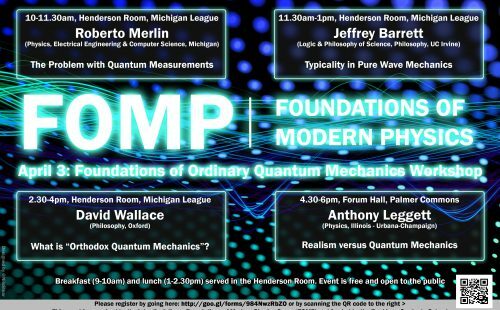 The Foundations of Modern Physics group (FOMP) provides a forum for physicists, philosophers, and mathematicians to come together and discuss conceptual and logical questions about the foundations of modern physical theories. 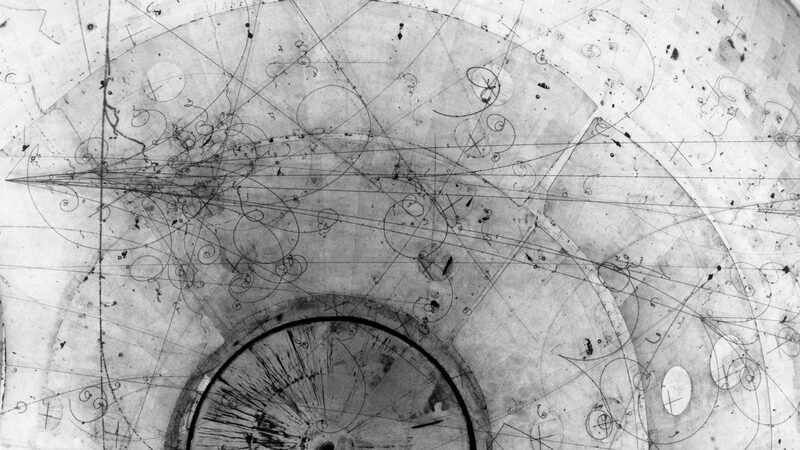 The group primarily focuses on the branch of philosophy called “philosophy of physics” and the related branch of physics known as “foundations of physics.” We meet bi-weekly to discuss articles chosen by the participants. Both graduate students and faculty are encouraged to participate. 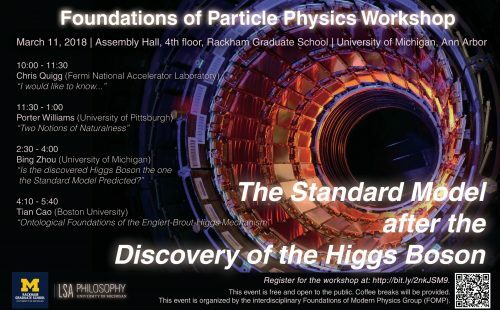 We are funded by the graduate school as a Rackham interdisciplinary workshop. Check the announcements on the right for the date and time of our next meeting. 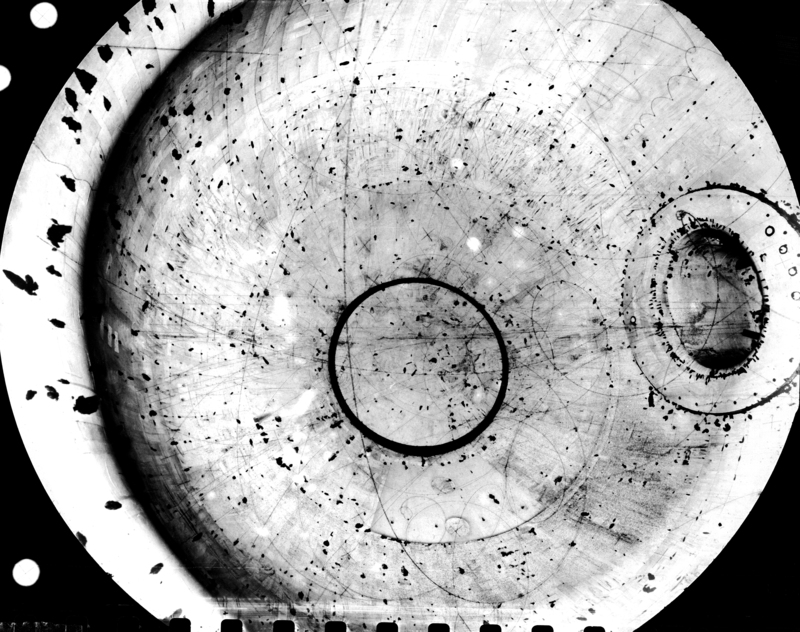 You can also view an archive of our past readings using the Readings tab. Participants will be “expected” to have “read” through one or two articles, and we will discuss and critique the arguments presented. We also provide a venue for work-shopping graduate student work-in-progress. Contact Josh Hunt if you would like to present work-in-progress or lead a discussion using the address at the right. 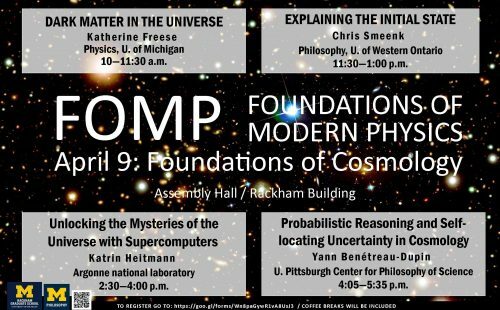 In past years, we have put on a super cool workshop covering a different area of the foundations of physics! This year, we are switching to a workshop series! 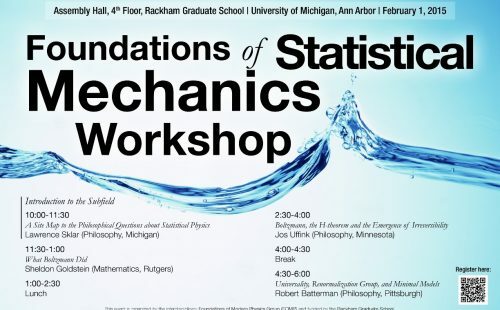 Email Josh Hunt at joshhunt@umich.edu to join our mailing list, fomp.fomp@umich.edu. University of Michigan affiliates with a umich.edu email can also add themselves to the mailing list.